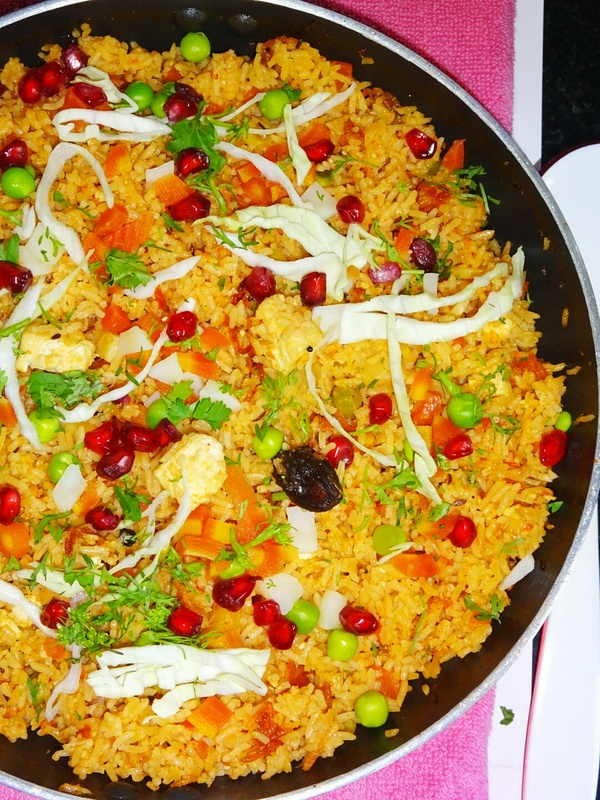 I am back with one more interesting recipe of Pulao. This is very unusual Pulao and I am very sure, few know about this Pulao. 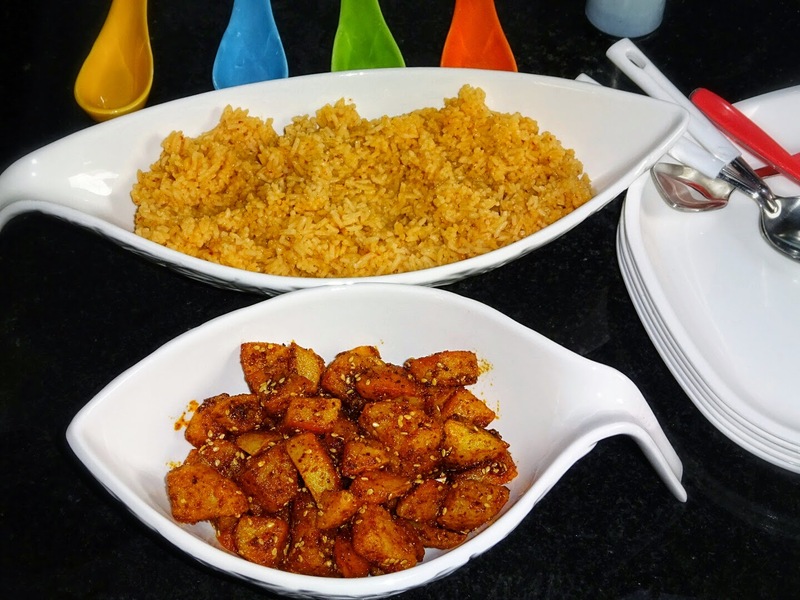 This Pulao recipe is also referred as without onion Pulao. The unusual thing in this Pulao is it is made from Caramelized sugar, but this is not sweet Pulao. Surprised! 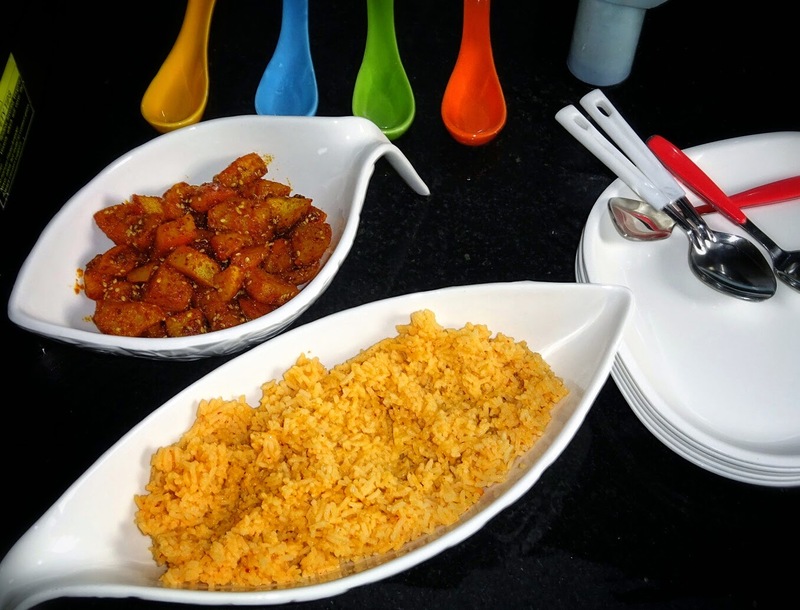 Pulao made from Caramelized sugar, and not sweet, not possible, yes, it is very much possible. How? 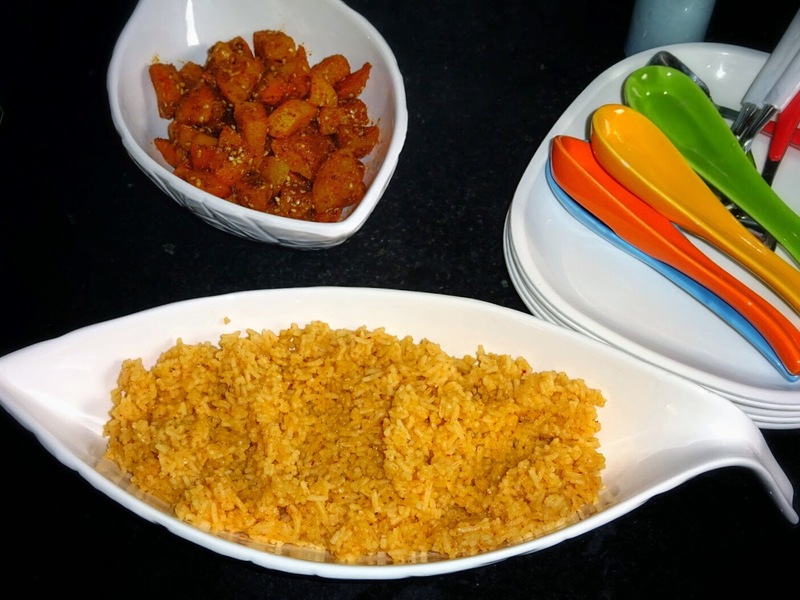 Check this recipe of Caramelized Pulao. You can also add vegetables in this like peas, french beans, carrots, cauliflower and make it more colorful and healthy. 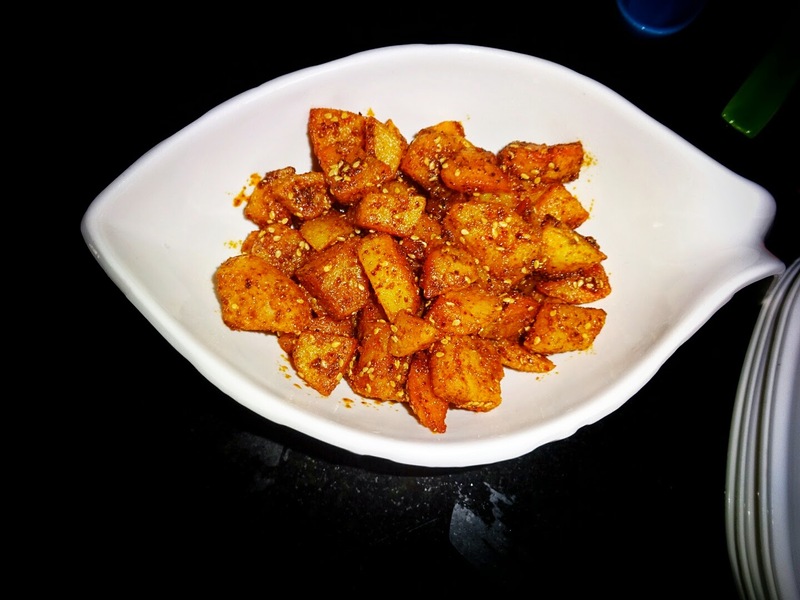 But in today's recipe, it is without vegetables as it taste awesome in both the ways.. 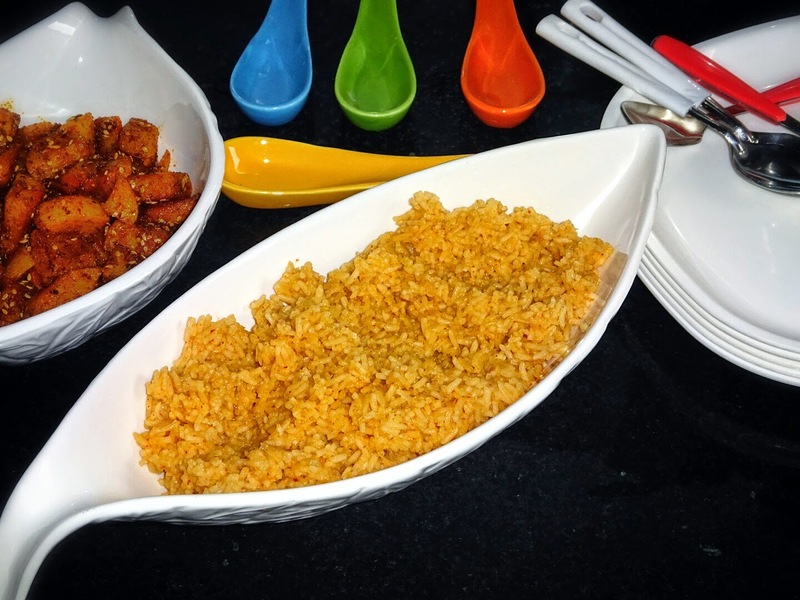 In today's recipe, I will going to cook rice in absorption method and by caramelizing sugar. ◾ Wash and soak rice for 10 minutes. 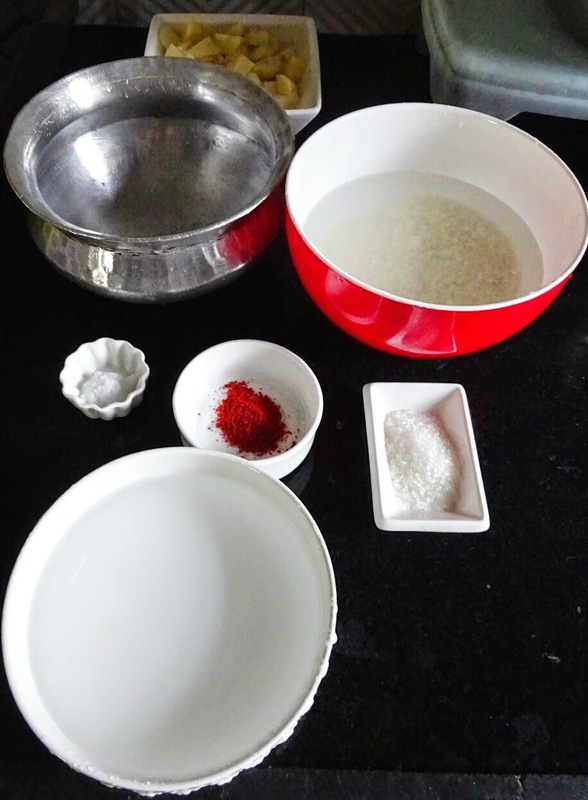 ◾ Arrange everything like a bowl full of water (approx 400-500 ml water), salt, red chilly powder. As we need everything handy when sugar is caramelized. 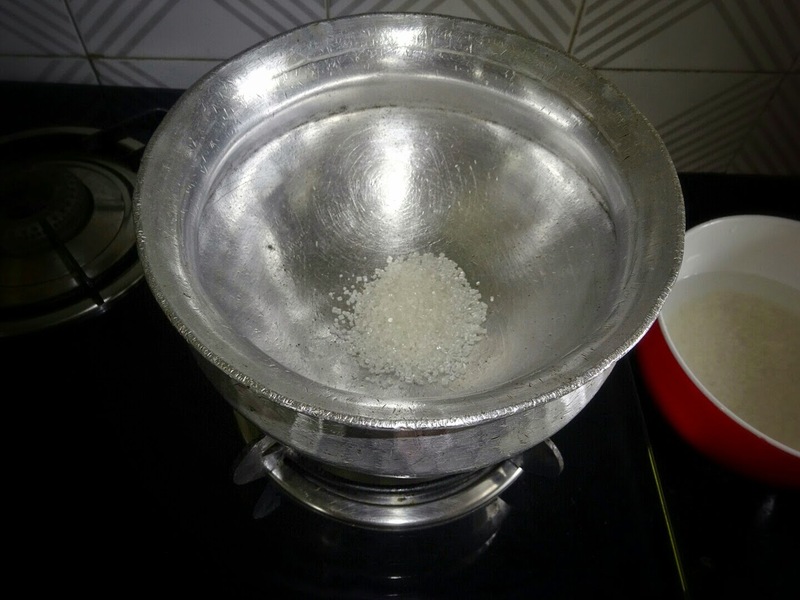 ◾ Add sugar in a heavy-bottomed saucepan. We will adopt the dry method of caramelizing sugar. ◾Carefully watch the caramelizing sugar until it hits exactly the right. Perfect caramelized sugar should be a dark amber color. ◾ Once color changed, don't waste time, carefully add water in it. ◾ Now add the dry ingredients i.e. red chilly powder and salt. ◾ Add soaked rice and cooking oil, cooking will be done by absorption method. ◾Heat oil in frying pan, when oil is medium hot, add potatoes. ◾Cook on high fire for 7-8 minutes, stirring once in a while. ◾When potatoes get cooked, separate out the excess oil with the help of a strainer. ◾Now add dry ingredients and mix well.